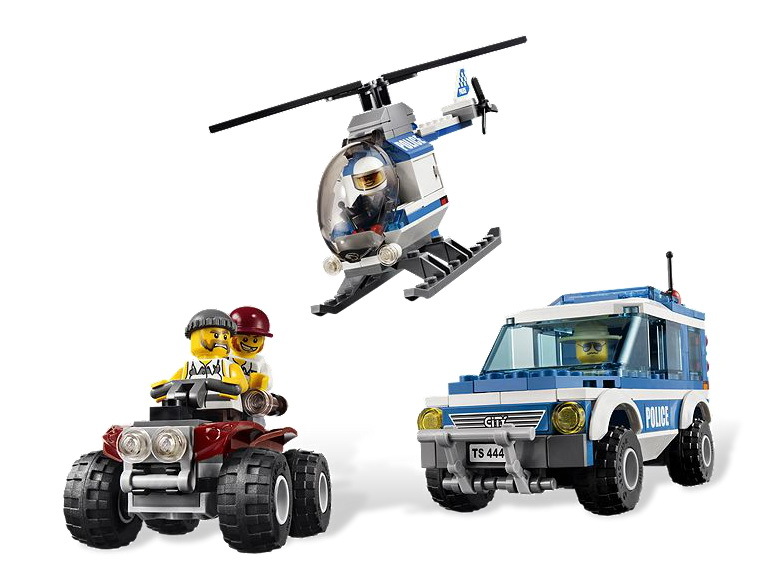 new forest police sub-theme set. 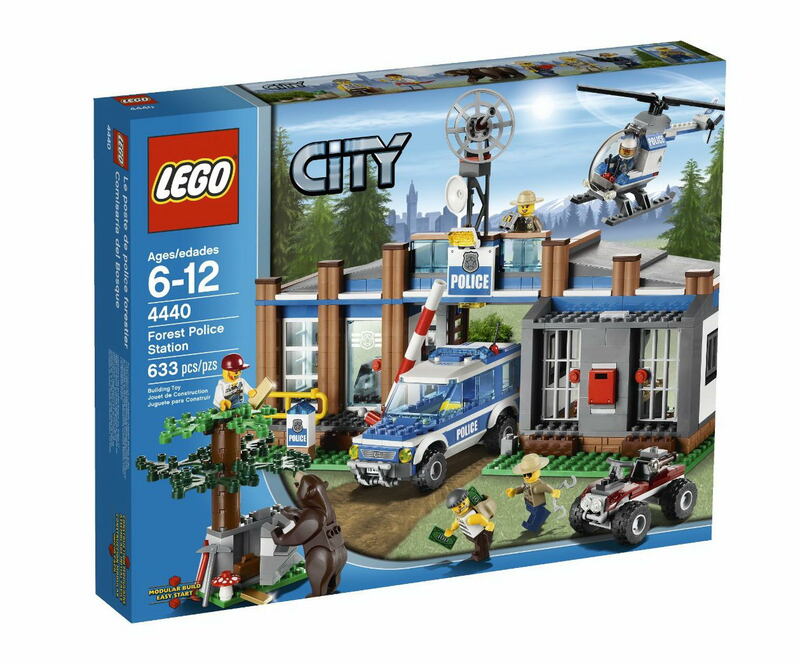 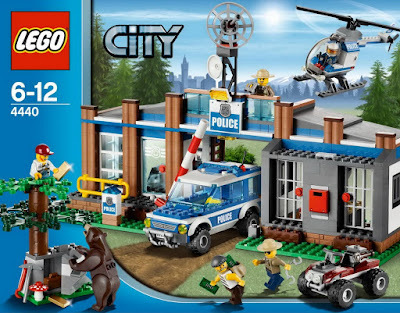 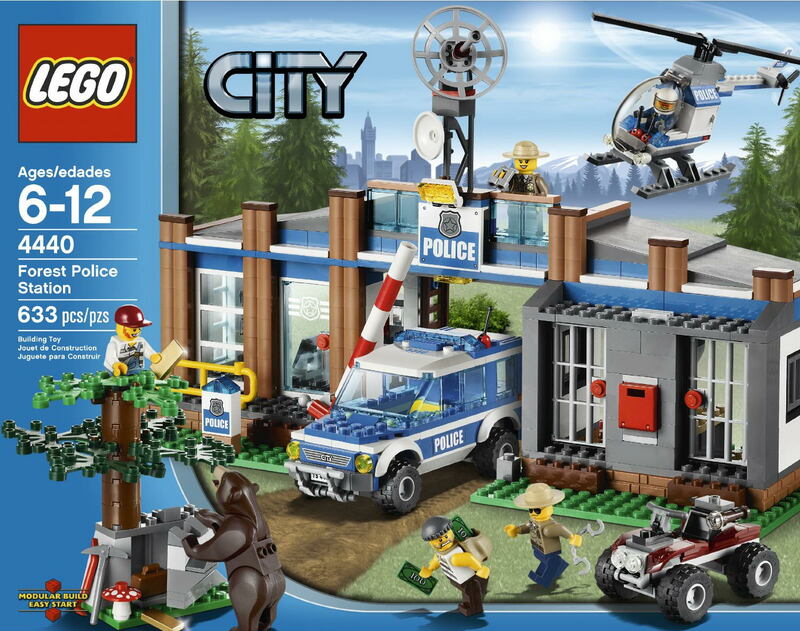 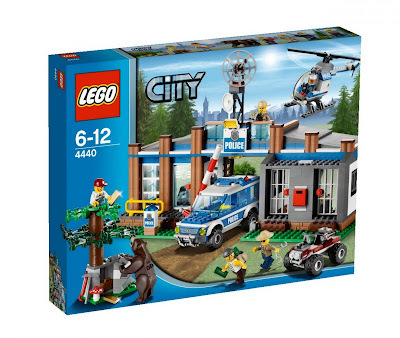 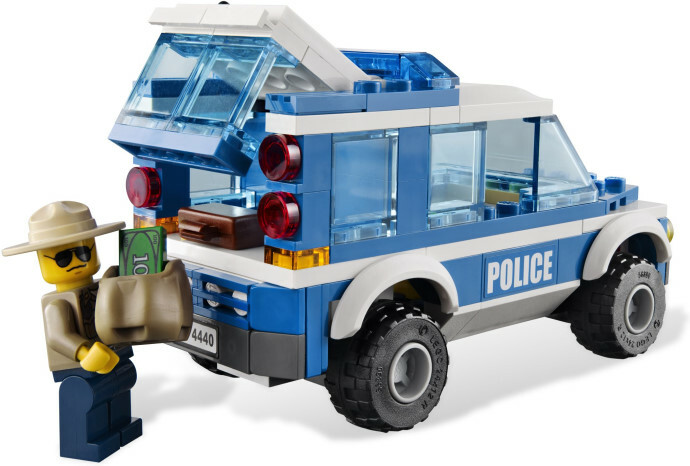 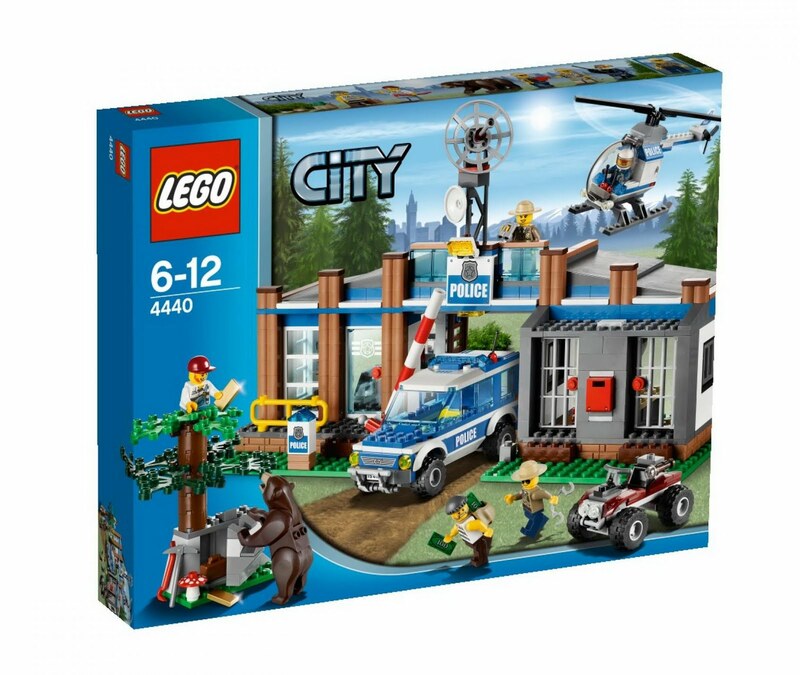 come with a forest police station, a blue police offroad car, a police helicopter and a robber atv. 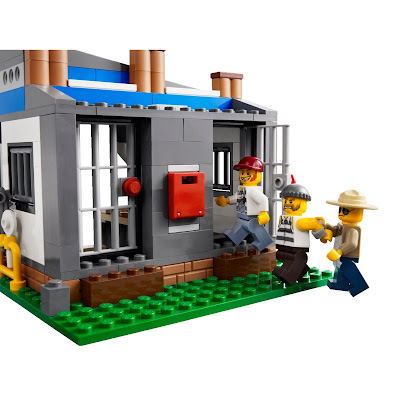 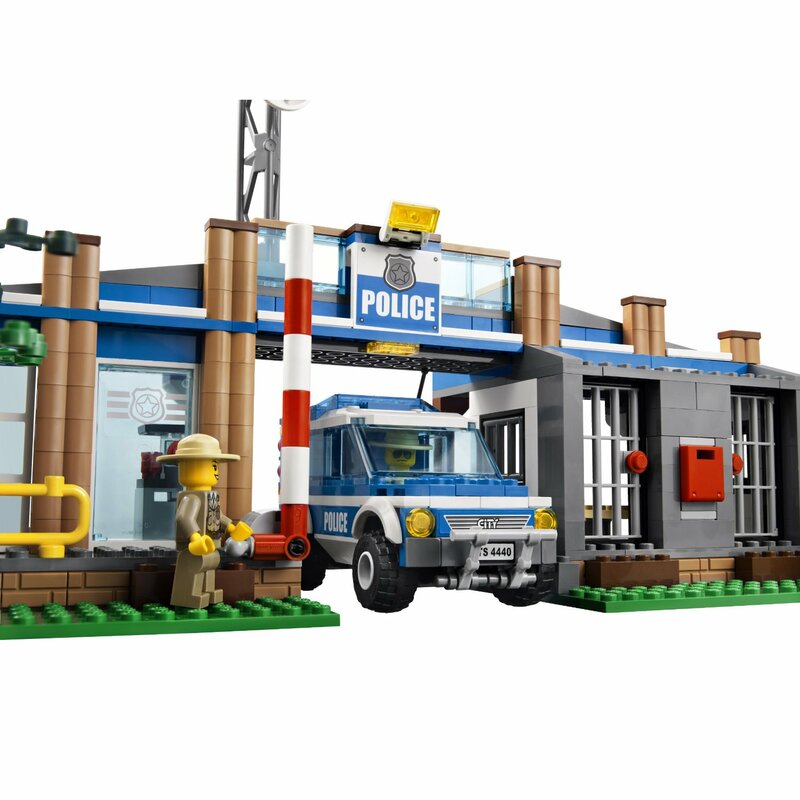 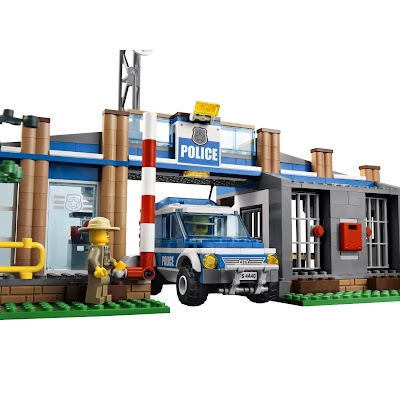 the police station has a watch tower, a satellite dish, a cell with 3 beds, a removable mailbox and a safe. also included moveable rocks, a mushroom and a tree. 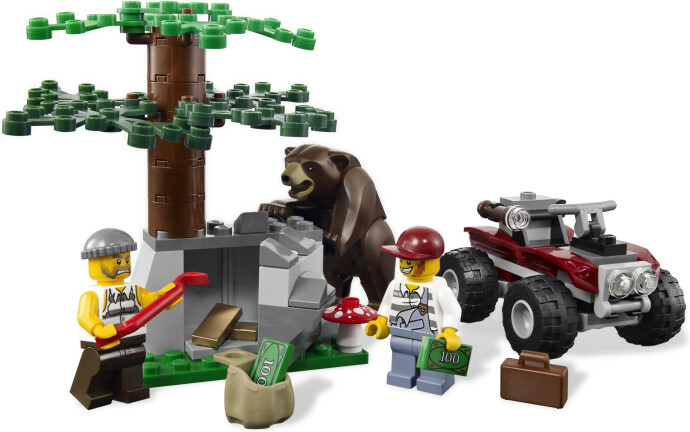 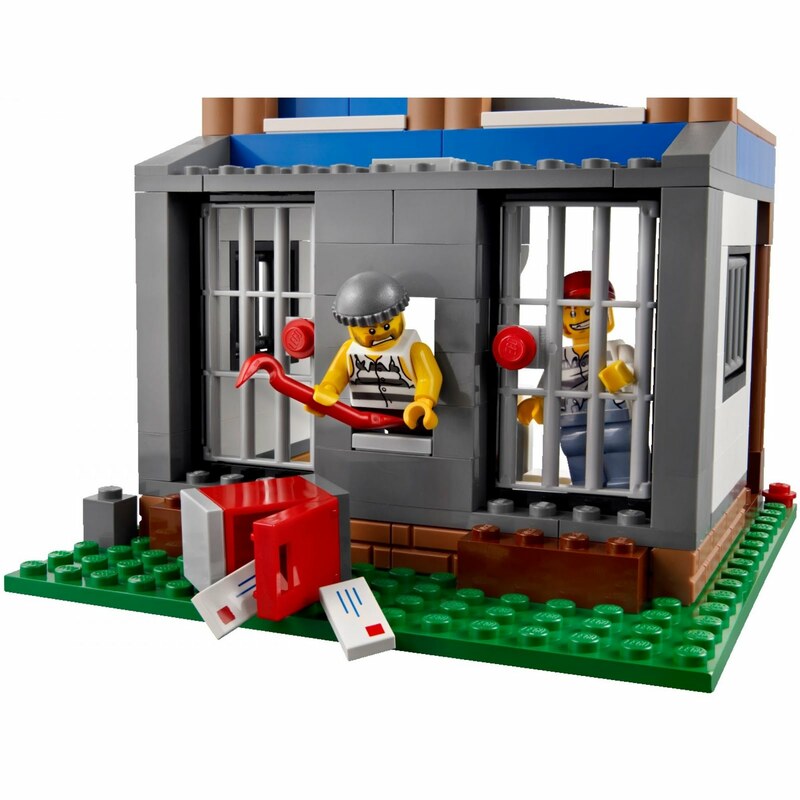 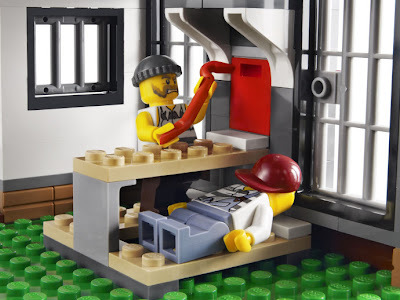 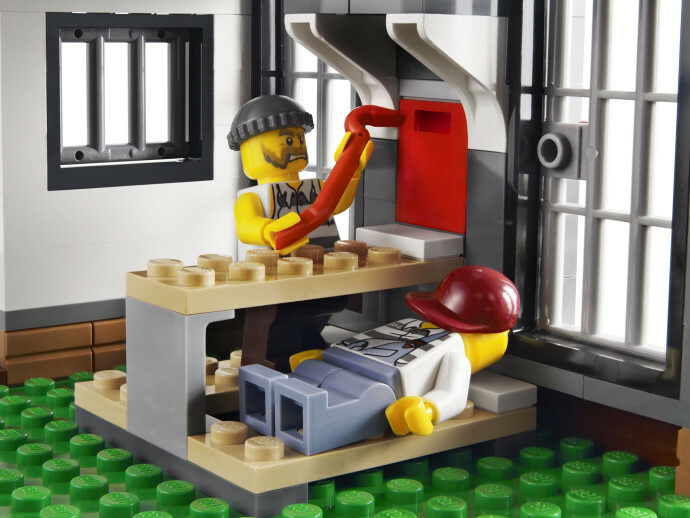 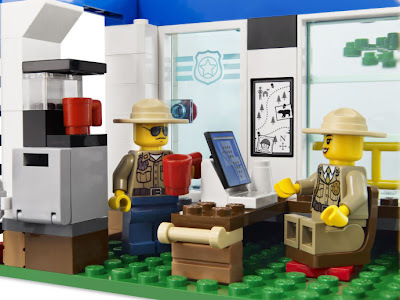 accessories included a bear, 2 gold bars, 2 money bills, a suitcase, a crowbar, handcuffs, binoculars, a flashlight, 2 walkie talkies and a pickaxe. 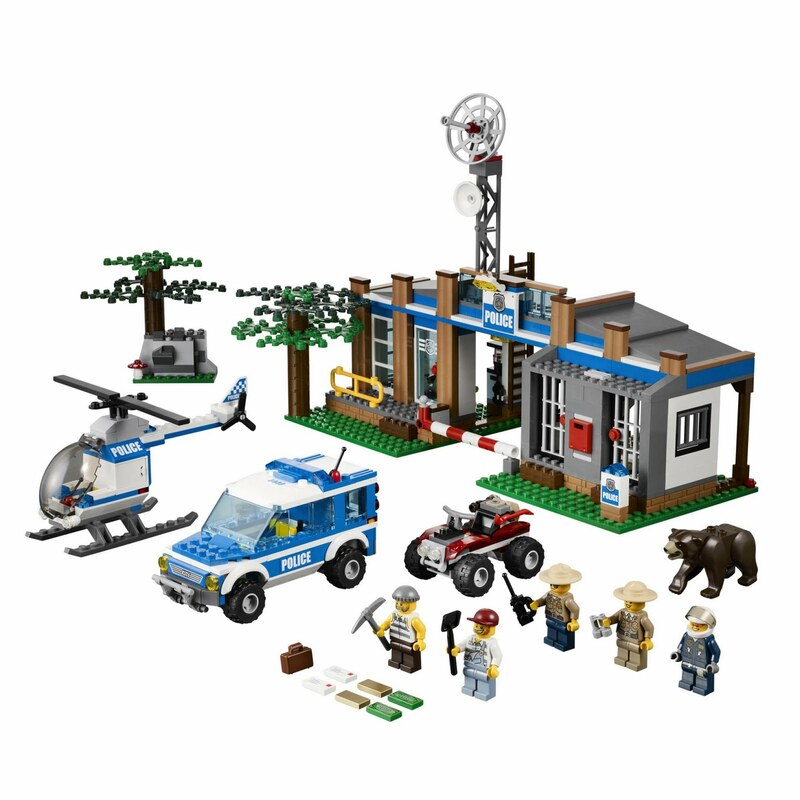 minifigs included 2 forest policeman minifigs, a pilot minifig and 2 robber minifigs.